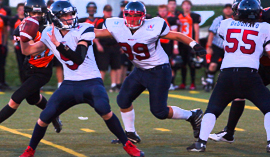 For over 15 years Tim Manson has developed a unique reputation as one of the premier Athletic Injury Prevention / Performance Enhancement Specialist in the country. His breath and depth of clientele includes athletes/teams representing a myriad of competitive sports from Youth, High School, Collegiate Athletic Programs to Professional Sports Organizations such as USA Track Field, NBA, WNBA, NFL, MLB. 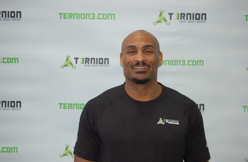 He has participated and presented in numerous National and Regional Strength and Conditioning Industry Conferences, Coaching Clinics and Symposiums as well as National Grass Roots Basketball & Football Showcase Camps and Combines. His combination of national class Track and Field experience, education, applicable experience and understanding of how to safely and effectively administer, direct, teach, assist and empower athletes toward their specific injury prevention and athletic performance goals is his unique value. Tim’s home base for training/consulting is in Bellevue, WA and he resides in Redmond, WA with his soul mate/wife and two young daughters. His other passions outside of family and Athletic Performance Enhancement Training are mentoring people of all ages, reading philosophical and scientific literature and communing with the outdoors via Road Cycling, Mountain Biking and Lake, Sound, River Paddle Boarding. Douglas Christie, is a native of Seattle WA. and attended Rainier Beach High School leading the Vikings to their first state basketball championship in 1988. After graduating he headed south to Pepperdine University in Malibu California. In 1992 Christie was drafted into the NBA and enjoyed a 14 year career. During his career Doug was coached by some of the best coaches to ever don the hardwood. Since retirement he has trained athletes on every level, studied the game and it’s fundamentals meticulously which has led him to a revolutionary approach with Mind, Body and Sport. 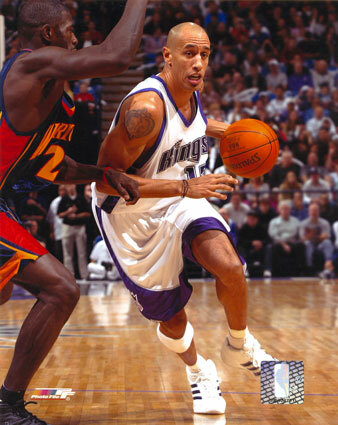 Doug now serves as a Broadcaster for the Sacramento Kings on CSN Bay Area and Sports 1140 KHTK. Doug has been married to his lovely wife Jackie since 1996. They reside in the State of California and have two children together. The Christies also have a love for reading and have published two books together. Some of Doug’s hobbies include cooking, poetry, golfing, fishing and music. Sylvester “Sly” Walters is Head Athletic Trainer and Owner of TERNION Mississauga, a city located just west of Toronto, ON. A highly sought-after Athletic Performance Specialist for flourishing and injured athletes alike, Sylvester has worked with athletes at all levels – from youth sports to Professional achieve their highest levels of performance in a variety of sports, representing; Canada Soccer, CFL, NCAA Soccer, NCAA Basketball, NCAA Swimming, Swimming Canada, Swim Ontario and Hockey Canada. He has emerged as a leader of Injury Prevention and Bio-mechanics within the sports performance industries and works extensively with physical therapists addressing musculature issues and developing athletic programs for individuals. 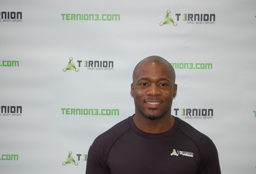 With Sylvester’s Semi-Professional Football background, expertise and passion for athletic performance, TERNION Mississauga has quickly established itself as a go-to high performance facility among the GTA’s (Greater Toronto Area) athletes and those that come from across the GTA and abroad to experience Sylvester’s cutting-edge methods. Sylvester enjoys an exciting and full life with his wife and three kids, he enjoys volunteering/coaching young athletes and helping them achieve their athletic and academic goals. Michael Knight graduated from Seattle University in 2008 with a bachelors degree in Liberal Studies and a double Minor in Communications and Global Studies. 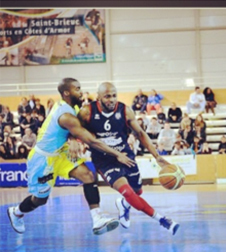 He is a certified trainer, and a basketball skill development specialist. Michael studied and played at 4 different schools before playing basketball professionally in several American leagues and Europe/Asia. Freshman year at UMBC, a division one school in Maryland where he was freshman of the week twice. Sophomore year Michael played at St. Petersburg College. A prestigious junior college in Florida where the Titans would win their Sun Belt Conference. Michael was a first team all league selection, all region selection, and honorable mention All American. Junior year he played at University of Albany, a division one school in New York, where Great Danes would win the competitive America East conference, and receive a birth in the NCAA tournament before losing to Virginia in the first round. Michael Finished his collegiate career at Seattle University, where he received all tournament selections at the Debani Holiday classic in California, all tournament team at the Seattle Pacific Oak Harbor classic, as well as the Coaches Award and Mission Award given to the student/athlete who engages in community outreach/service, and to the student athlete who reflects the mission statement of Seattle University. Michael has gone on to run many camps, clinics, and training forums internationally, while playing basketball professionally abroad. He is a welcomed addition to our training family. Because of the diversity of position-to-position movement skills – of all popular sports, football requires the most comprehensive approach to Strength & Conditioning and Athletic Performance Enhancement Training. 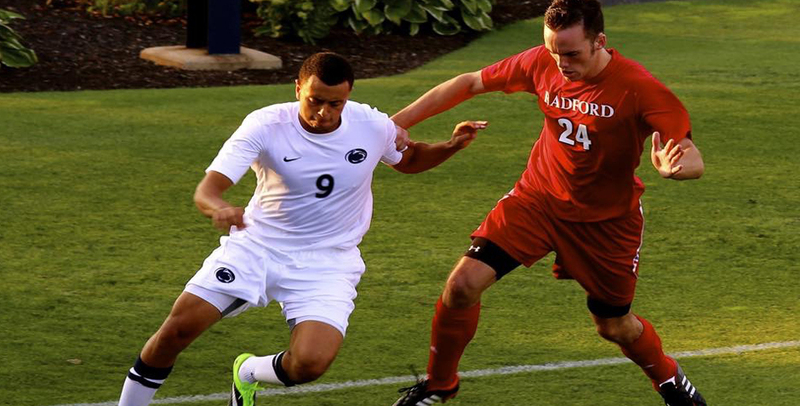 Traditionally coaches felt that the general soccer player could maximize all of the soccer performance improvements just by playing on the field.